SAI depends upon personal contributions to finance its operations. SAI is a 501(c)3 tax exempt nonprofit, and all contributions to SAI are tax deductible. You can make an online donation by credit card by by clicking on the Donate tab below. Foundations that fund the Arts concentrate giving on nonprofit arts organizations that have programs that bring art in its various forms to the public. That is not what Senior Artists Initiative does. Instead we devote our energies and limited resources to informing people who make art about a variety of matters integral to their success, and we produce and publish videotape documentaries about recognized Philadelphia Regional visual artists. The documentaries preserve the heritage of artists. Our programs and projects benefit artists, heirs, teachers, students, and art lovers. 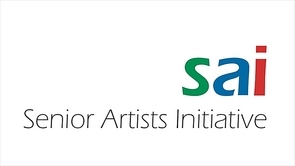 Consequently SAI is not considered an arts organization by funders. We are classified as an artists service organization. Unfortunately, serving those who make art is not considered worthy of funding. And so, SAI is forced to rely on alternate giving sources to meet its financial needs. While we are an all volunteer organization we still incur expenses for our website and video hosting, and routine expenses. Please help us to meet those expenses. Thank you. All contributions will be acknowledged with a letter suitable for tax purposes. Clicking on the donation button below will take you to Paypal, an online payment service. You do not need a Paypal account to donate. You can make a donation by credit or debit card by clicking on link to "continue" under the heading "Don't have a Paypal account?